But the company's latest fitness endeavor takes the guesswork out of how I could improve my less-than-Major League swing. On Wednesday, Zepp Labs announced a trio of training systems designed for specific sports: Zepp Baseball, Zepp Tennis, and Zepp Golf. Each version ships with a sensor, a mount, and a charger, and works in tandem with a corresponding app for iOS and Android devices. The Zepp system acts as a personal coach that lives in your pocket. And it's probably the nicest coach ever, too. Instead of barking orders, it gently presents the facts of what you're doing and suggests goals for how you can improve. The sensor detects 3D motion, analyzes how you play, then syncs that data via Bluetooth with the app, which presents it in a clear, easy to use interface. You can then check your stats and view a 360-degree animation of your swing. "The system tracks all of this data about how you play and makes it actionable," says Zepp Labs' CEO Jason Fass. "Its goal is to make you a better player." 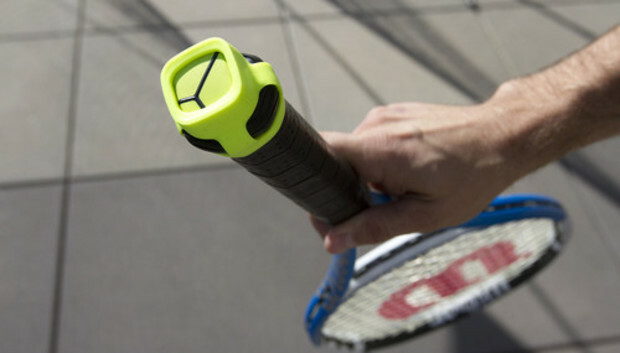 While the apps are dedicated to each sport, the sensor itself, a small tennis-green square, is interchangeable. It contains an ARM processor, can store 200,000 tennis swings or 2,000 baseball/golf swings, and packs about 8 hours of battery life. Zepp's multi-sport training system was designed with athletes in mind, not tech writers who just happen to like hitting things with other things. When testing the baseball system, my swing speed averaged 35 miles-per-hour--about what you would expect from an 8-year-old during her first season of T-Ball. But with Zepp, I tracked my progress and saw how my swing changed with each hit. For example, I watched the graphic of my first swing, and saw that I had zero follow-through. I adjusted that for my next swing. It also showed me the angle of the bat at impact with the ball and the range of my swing. Tap the diagram and move it around to view your swing from different positions. Checking your stats is pretty addicting. It marks goals and logs your progress, tracking different stats depending on the sport. For baseball, it tracks how long your bat stays in the hitting zone, how fast the barrel of your bat is moving when it hits the ball, and the angle of your bat throughout the swing. Golf compares your backswing to your downswing, club speed and angle, swing tempo, and hip rotation. Tennis focuses on the amount of forehands, backhands, serves, and smashes you hit during a match; how much power is generated with each hit; how many topspin, slice, and flat shots you hit based on shot type; and how much time you spend on the court. What's really handy is that the app doesn't even need to be launched when you play--as long as the sensor is mounted to your racket, bat, or glove, it will track data. Then, when you launch the app later, the data automatically syncs to your device so you can analyze it. It's a lot of info, but enthusiasts who are seriously working on improving their game are sure to love it. Zepp Baseball, Tennis, and Golf run for $150 apiece, with additional mounts for each sport at $10.